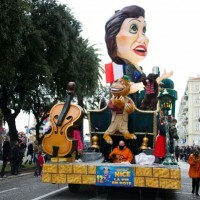 New for the 2015 edition of the Carnaval de Nice, the Parada Nissarda, a carnival parade performed by Nice associations, marched on the Quai des Etats Unis. 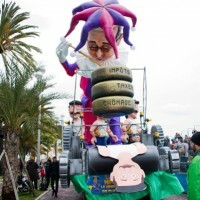 Her majesty Carnival won the keys to the city of Nice and reigns on the Place Massena for the duration of the Carnival from February 13 to March 1, 2015. 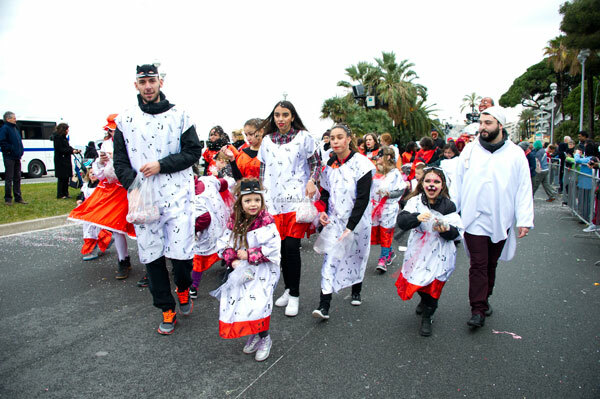 Under his benevolent and amused eye took place the first Parada Nissarda, a carnival parade performed by Nice associations with the children from the districts. 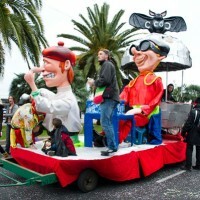 A genuine popular Carnival, in line with the roots of the feast in Nissa La Bella. 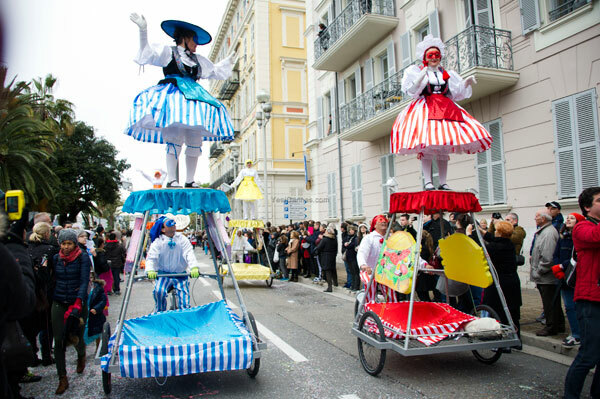 La Parada Nissarda is an “Off”, 100% Niçois carnival opened to all, composed of floats made by Nice associations and enlivened by exclusively local troops. 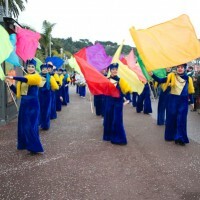 The Parada Nissarda followed the route of the Flowers Battle. 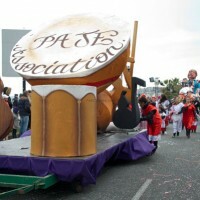 Each association had prepared two floats: an animation float and a carnival float, with its music style and color code. 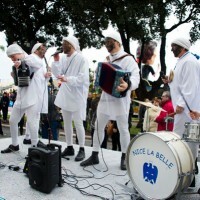 Samba for the Forum Nice Nord, Jazz for the Espace Magnan, Nice songs for La Semeuse. 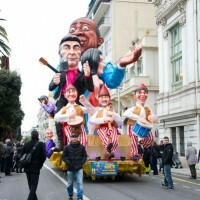 A Paillassou also took part to the show along with a few floats from the Carnaval de Nice. 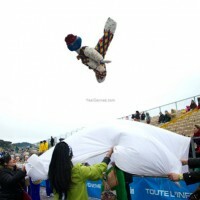 The Paillassou is a puppet stuffed cloth fabric the Paillassou that members of a troup make leap into the air in a tarpaulin and also project in the middle of the audience. 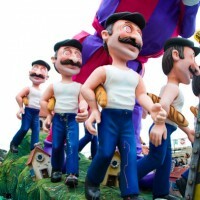 This ancient custom is already present at the carnival in 1860. 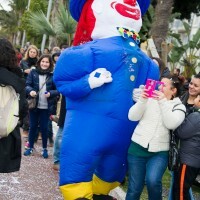 At the time, the Nice fishermen were walking the puppet stuffed with straw as they formed the majority of the local population. 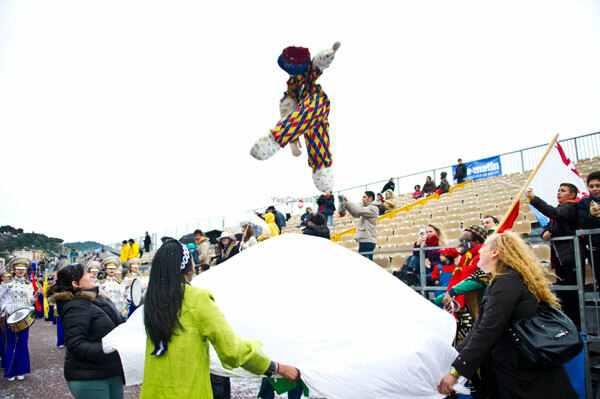 Sometimes, a girl taken from the crowd takes the place of the Paillassou in the tarpaulin. 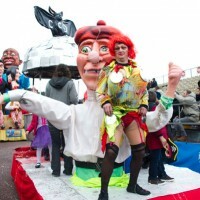 Nowadays, the Paillassou is a firmly established, fully-fledged character in the Carnival who arouses joy, enthusiasm and jubilation of the audience. 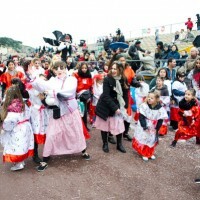 The Carnaval de Nice has an origin of pagan feast. 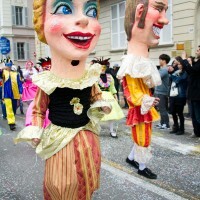 It takes its name from “Carne levare”, (removes the flesh), a festival that takes place before the period of Lent, during Shrovetide (Shrove Tuesday). 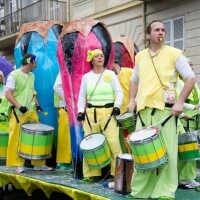 It’s the last feast before a period of abstinence and lean cuisine, which therefore justifies all the excesses and serves as an outlet for the population. 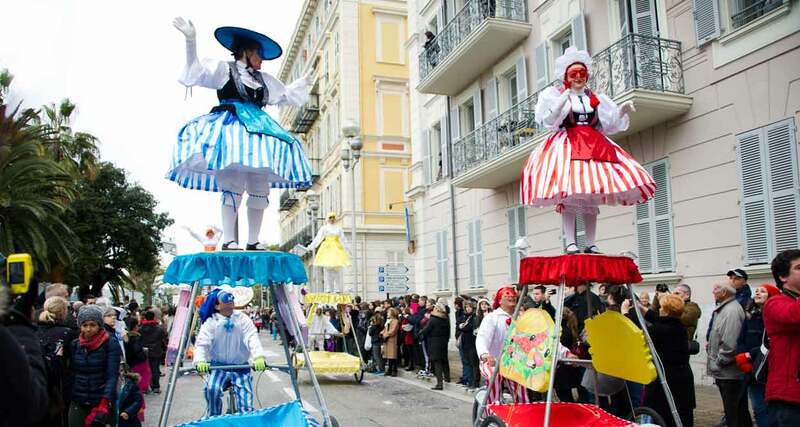 The Carnaval de Nice reached its peak at the Belle Epoque: it is then the largest carnival in the world. 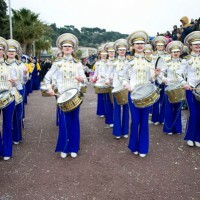 The Carnaval de Nice is an international crossroads of carnival groups from all over the world that offers a discovery of the richness and dynamism of other music Carnivals. 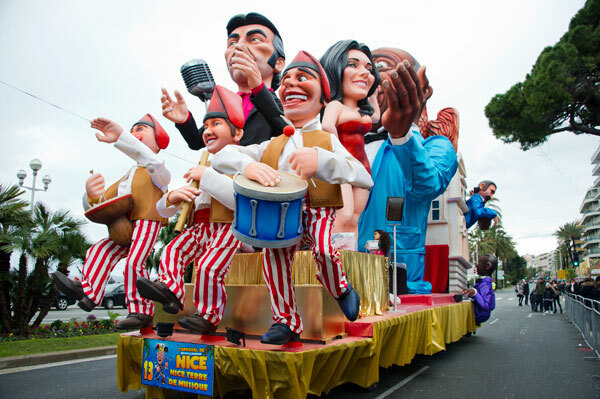 Samba schools, steel band orchestras, salsa permeate the feast of the mixture of cultures. 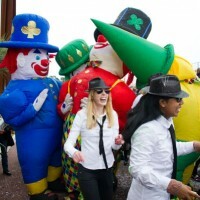 The street arts inspire the carnavalier who became a visual artist-designer. 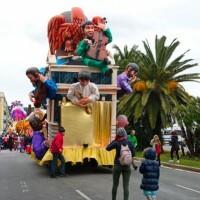 The Carnival draws inspiration from traditional themes, allegories and bestiaries and kept its tradition of political and social events pastiches and local satire.